A love poem recently found was written by my late Great Uncle Wally to his new wife Ruth – Christmas 1973. This poem begins in sadness, but please read on, it ends in utter joy. These words must have had such an impact on this new marriage, this new relationship – words full of hope, possibility and absolute honesty. And what timing! As they ventured forward in this new relationship, these initial words must have shown his new wife how open and honest her new partner would be with her. Such a support to this union, and obvious blessing to them both. as many years slipped by. The clouds of Loneliness parted: Fate introduced me to you. you are indeed my Life. Our communities are built on one relationship at a time. Perhaps the lessons learned here, is that we should readily offer our words with care and thoughtfulness: making sure the timing and choice of words are appropriate to achieve the greatest outcome of each situation. 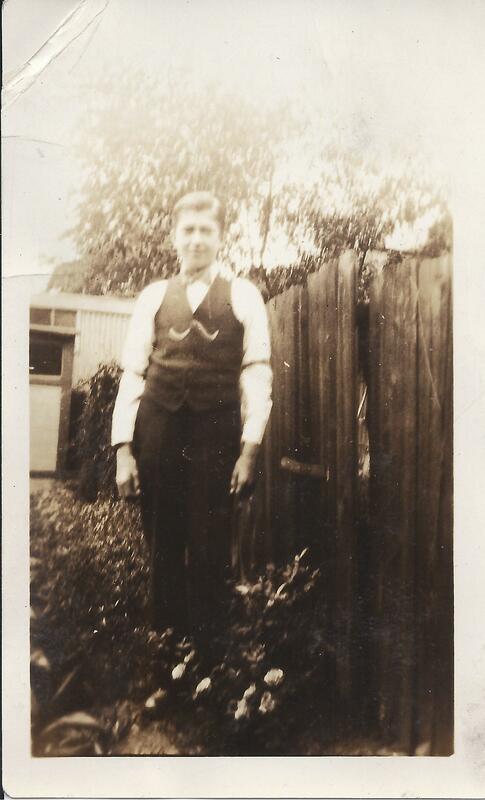 Note: Wally Symons at the age of 13 years and 6 months – only photo we have of him. Given permission to share this poem by my mother. This entry was posted on March 19, 2012, in Community, Personal / Families and tagged motivational words, poem, timing, wally symons, wisdom, words.